Anyone interested in becoming a member of our church is invited to a Membership Class led by Pastor Roy, beginning on Sunday, October 8, following worship. The class will run for two sessions (October 8 & 15) and new members will be received on Sunday, October 22 . No commitment to join the church is required to attend the class, so come even if you’re just exploring or interested. Childcare will be provided upon request. Please contact Pastor Roy if you have any questions. The Centerport United Methodist Church family warmly welcomes all to join us in worship of our Lord and Savior Jesus Christ. 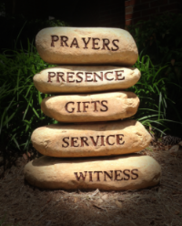 As disciples we are all called to reach out and share the good news of Jesus Christ. For those who may be looking for a church home, we invite you to attend our worship service every Sunday at 10 AM, followed by a fellowship reception and coffee hour. Sunday School for children is held concurrently during the service. Please give us the opportunity to learn what is important to you and chances are that we have a program to meet your needs. Explore the other areas of our website for more details about our education program; mission & outreach opportunities; youth programs; music ministry and how you can share your gifts. 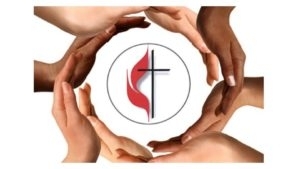 The Centerport United Methodist Church welcomes all people to join us to develop a stronger personal relationship with Jesus and a stronger Body of Christ. We invite you to be a part of our mission. For more information please contact Pastor Roy Grubbs at 631-261-5222 or pastorroy67@gmail.com.